In my experience, goal-oriented people and vision-oriented people get along about as well as dogs and cats. So is there any way to bring about cooperation? Yes! Remember the distinction I made in my last post? I said that goal-oriented people tend to pursue a fairly linear, straightforward path toward the achievement of a hard-target objective, whereas vision-oriented people tend to pursue an odyssey in which they concentrate on some conceptually rich interest for a while, then move on to something else. These are literally two different ways of seeing the world. Keeping in mind that I am speaking in broad generalities, and that every person is actually unique (see the POINT OF CLARIFICATION below), let me illustrate the difference between these styles using two well-known figures from history: Alexander the Great, the conquering general of Macedonia, versus Michelangelo, the renowned Renaissance artist. 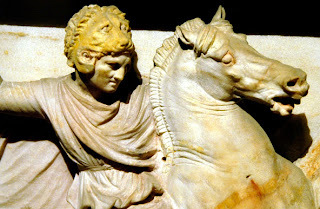 Alexander the Great appears to have been ruthlessly pragmatic and completely intolerant of needless delay. He came to power in Macedon in 336 BCE. He was only 20 years old. Within 5 years he had personally led the army he inherited from his father to conquer the then-known world (you might say he was the Mark Zuckerberg of his day). His territory stretched from Greece to modern-day Pakistan. He invaded India. He devised plans to take Arabia. He founded twenty cities bearing his name, the most famous being Alexandria in Egypt. As a result of his conquests, Greek civilization dominated the ancient world for close to a thousand years, and its influence remains with us today. Clearly, Alexander was a man on a mission. I suspect he did not suffer fools gladly. Roll forward 1,800 years to the Italian Renaissance. 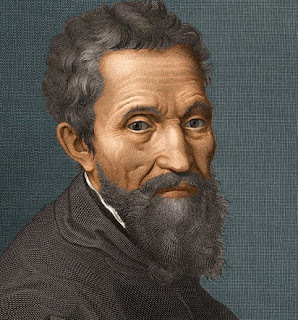 Michelangelo was born into a family of bankers in Florence. His mother died when he was six, so his father sent him off to school. But Michelangelo had no interest in school. He chose instead to hang out with painters (the artistic kind, not house painters). 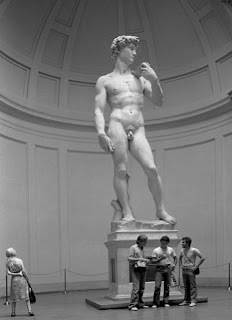 Michelangelo spent the rest of his life exploring painting, sculpture, architecture, poetry, engineering, and philosophy. When he was only 26, the town fathers of Florence gave him a commission to complete a statue for a local cathedral. The marble for it had already been worked by a previous artist, who had bungled the job. Michelangelo took the flawed piece and spent the next two years totally focused on creating what some regard as his most famous work, the David. That comment tells you everything you need to know about how Michelangelo approached his work. Indeed, you will hear those words frequently from the mouths of vision-oriented people. 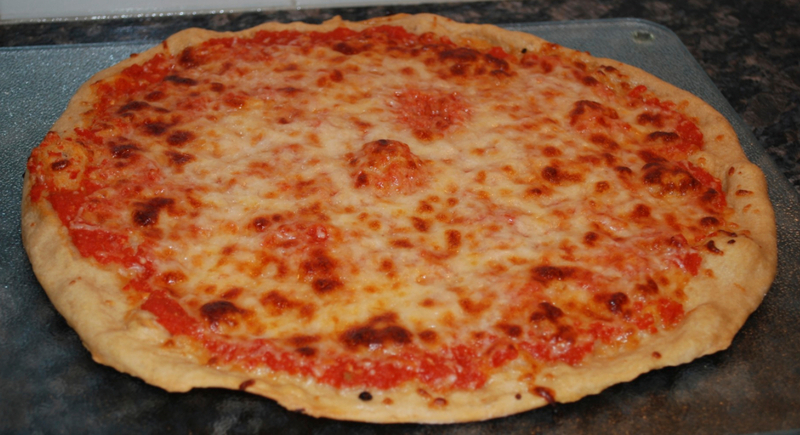 Now imagine that I invent a time machine that allows me to move people around in history, such that I bring Alexander and Michelangelo into the 21st century and place them in Brooklyn, New York, where, at ages 19 and 21 respectively, they join forces in opening up a small pizzeria called Micky’s Great Pies. Would you loan these guys money for their new venture? Seems like a pretty safe bet. I mean, in Alexander you’ve got one of the best strategic minds the world has ever seen, and in Michelangelo you’ve got a creative genius. Just put Alex at the cash register and Micky in the kitchen, and you’ll have customers lined up around the block! Then draw upon Alex’s proven ability to scale things, and in no time you’ll spread stores everywhere. Meanwhile, put Micky on the task of coming up with a catchy logo and plaster it on T-shirts and other hip clothing. You can turn that into another whole line of business on the side. There’s millions in it! But if you ask me, it’s a recipe for disaster. Yeah, yeah, we’ve got world-class talent to work with. I concede that. But I’ve seen plenty of world-class people whose ventures were tanking because of one small problem: they couldn’t get along. And the reason they couldn’t get along was that they failed to appreciate the far-reaching implications of human giftedness. 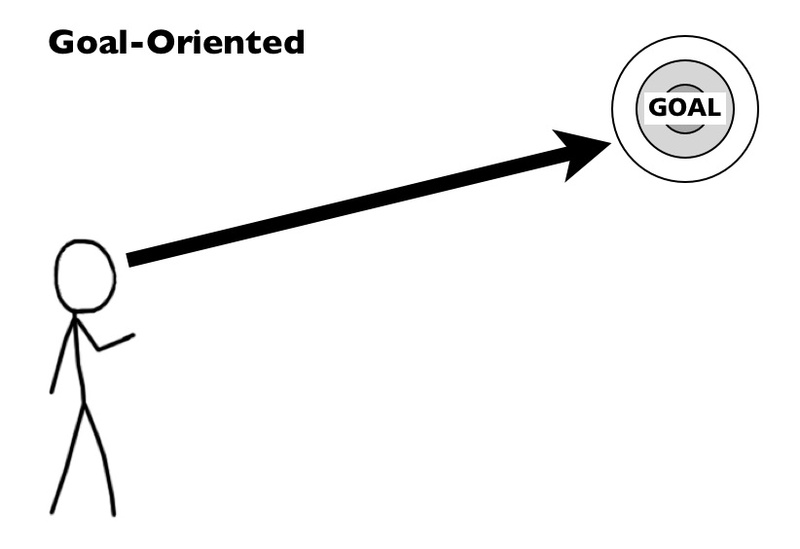 Goal-orientation versus vision-orientation is one of those implications. Since I know a good pizza when I eat one, I stop by Micky’s Great Pies the next time I’m in the neighborhood (remember, I have a time machine, so I can get from Dallas to New York—or anywhere else, for that matter—instantaneously. I’ll never pay a baggage fee again!). Sure enough, I have to stand in the cold for about an hour to get inside. When I do, the place is packed. It has a pretty cool retro feel to it. But what really catches the eye is the ceiling. There are dozens of figures painted up there, iconic personalities from the 20th century like John Wayne, The Beatles, Andy Warhol, Einstein, Marilyn Monroe, Chuck Yeager, Mickey Mouse, you name them. Somebody put a ton of effort into that! I order the extra-cheese pizza, and as soon as I take a bite I know why I waited an hour. It’s beyond description! Crusty, cheesy, spicy. Totally comfort-food! When Guy Fieri hears about this place, the wait will go to three hours! I hang around until the last customers have left and the cleaning guys are starting to mop the floors. Back in the kitchen I find Micky. He’s slumped over a counter, lost in the thing before him: three glasses of milky water. Even when I sit down across from him, he doesn’t take his eyes off the glasses. He’s obviously working out something in his mind. Finally he reaches for a spoon and dips it into a canister of sugar. Carefully, as if he’s counting every grain, he shakes a little bit of sugar into one of the glasses. Then he waits. Then he gives it one more tiny shake before returning the rest of the sugar to the canister. As if the concoction might blow up, he gently stirs the contents of the glass and cautiously lifts a spoonful to his mouth. He swirls the mixture around with his tongue as if tasting a fine wine. Then a slight grin lightens up his face and he nods his head approvingly. “I see the master is at work,” I say, breaking into his reverie. I can see that Micky’s ability to appreciate what makes for a good pizza is in a totally different class than my own. Now you may think I’m trying to be cute or clever here, but I am not. We actually see this kind of scenario all the time at The Giftedness Center, and as recently as three weeks ago. Sometimes it’s a husband and a wife. Sometimes it’s a father and a son. Sometimes it’s a boss and an employee. Whatever the case, someone is unhappy with someone else. But in trying to put their finger on the problem they have overlooked the giftedness factor—both their own giftedness and that of the other person. They are dealing with Someone Who Is Not Like Them, and they find that other person’s style unacceptable. Of course, I can’t solve all the problems of the world in a single blog post (or consulting session either, for that matter). But here are a few suggestions I would make for how goal-oriented people and vision-oriented people might learn to get along. If you are a goal-oriented person. . .
1. Accept the reality that not everyone is goal-oriented. Nor should they be. We don’t want Michelangelo to be goal-oriented. Otherwise, he knocks out the David in three weeks and it looks like one of those kitschy rooftop statues you see on top of a burger joint at the Jersey Shore. But somewhere deep in the American subconscious is a core belief that “no one gets anywhere unless they have a goal.” There’s an element of truth to that. But as I explained in my last blog, people define “goals” very, very differently. Some people don’t do life by hard-target, S.M.A.R.T. goals. They do life by concepts, or relationships, or experiences, or whatever. “But they’ll never get anywhere? !” the goal-oriented person retorts (there goes that subconscious). Maybe. Maybe not. But the real answer is: they’re not trying to get anywhere! For them, life is not just about getting a result. It’s about the journey, the experience, the inquiry, the discovery, the mastery. Don’t take that away from them! And whatever you do, don’t shame because they are not like you. 2. If you value the creativity and energy of a vision-oriented person, give their creativity oxygen to breathe. It’s a classic scenario: a goal-oriented person finds a bright, energetic, creative individual who has lots of ideas and recruits them to their team (see Micky’s Great Pies above). They harness the creative person’s talent to their agenda. And then: wham! Frustration. Disappointment. Missed deadlines. Over budget. Too much drama. Unpredictable. Uncommunicative. Moody. Call Bill! Look, if you’re going to hire someone who is gifted to the task of peering into their imagination and pulling out a really great idea, then just accept that their imagination doesn’t operate according to your PERT chart. Conceptually oriented work moves at the speed of the mind. How long will that take? As long as it takes. Okay, you can put limits on that. Tell them you need something in three weeks, or whatever. But then get out of the way. If you keep interfering (“Have you come up with anything yet?”), if you try to game the system by prompting them (“Hey, I had this great idea for what you could do”), if you load them up with other projects and priorities, you’ll suffocate their energy. In my judgment, the best thing you can do for a vision-oriented person who is being paid to exercise their vision-oriented gifts is to point them in the right direction by telling them what you’re looking for, stipulating the parameters you’re working under (timeframe, budget, constraints, etc. ), and then—get out of the way. Trust their giftedness. It follows a path you likely have no conception of. But that doesn’t matter. As long as they come back with something that fits what you asked for, you have nothing to complain about. After all, you’re all about results, right? Then why are you meddling in the process by which this particular person gets their results? If they can’t deliver results, of course, then maybe you don’t have the right person. But don’t just can someone because they didn’t do their job the way you would do it. 3. If you’re the number-two to a vision-oriented person, realize that “No” is the launch code for conflict. I also see this scenario all the time. A visionary has a great idea. So they go to their team and announce their Great Idea. At that point everyone looks at the number-two person. After all, that person is the only one who is positioned to speak truth to power. So it is that person’s unfortunate lot to have to go back to the visionary and say, “I’m afraid your Great Idea is not going to work.” That’s not what the visionary wants to hear. Sometimes, of course, that is exactly what the visionary needs to hear. Just because someone is gifted to the task of coming up with great ideas does not mean that all of their ideas are great. Creativity is not infallible. No, creativity is a volume game: for every one great idea that has merit, you usually have to come up with ninety-nine turkeys that have little or no merit. So sometimes you do have to say no. But how you say it makes all the difference. Here’s a thought. Instead of just blowing up the idea with, “That won’t work,” try this: “I think such and so about your idea has a lot of merit” (but be honest—you really do have to think those aspects have merit). “But here’s where I have some concerns” (and then lay out your concerns). The advantage of that approach is that it does not shoot down the idea. Instead, it (a) forces the idea to survive or fall on its own merits, and (b) shows that you are trying to work with the visionary to “plus” their idea (i.e., make it better) and, if possible, make it achievable. If you are a vision-oriented person. . .
1. Before you ever take a job, think long and hard about the nature of the work itself. Many jobs are inherently results-driven. That means everything about the work is focused on an outcome. Business, in the main, is results-driven. The focus is on goals, numbers, sales, quotas, and profits. It’s an inherently transactional world. So think about it: given your style, will you ever be totally comfortable working in that sort of world? Doesn’t your bent toward curious exploration and doing things “your own way” almost guarantee that you will get sideways with the people who run that world? If so, do you really want to spend your life that way? Yes, certain sub-categories of business and industry welcome certain kinds of creativity. For example, advertising and marketing. Also certain forms of R&D. And almost any leader of a business enterprise will say that, yes, they do want to see more “creativity” at their enterprise. But let’s be honest: creativity in, say, banking or accounting or at a retail store means something entirely different than creativity in an art studio or a comedy club. 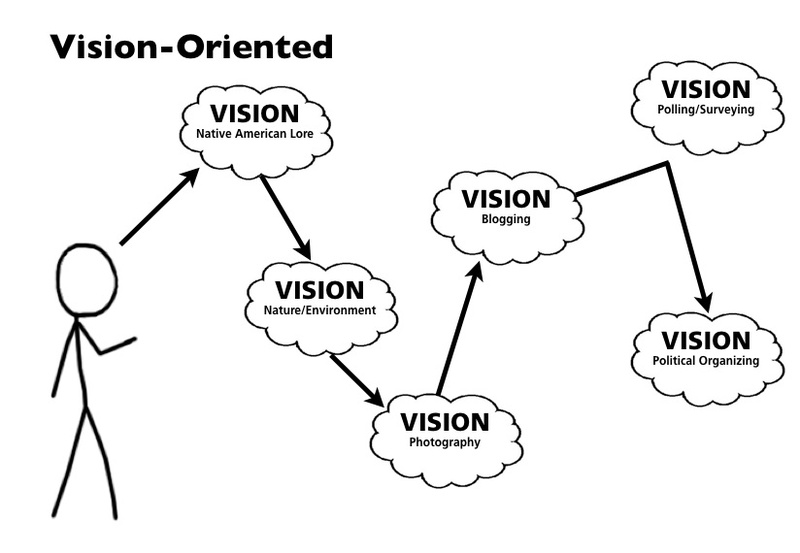 Some workplace settings favor the vision-oriented person’s bent. For example: the fashion industry; certain parts of the publishing world; the arts; graphic design; theater, film, video, and photography; the restaurant business (sort of, as illustrated above); the amusement industry (same disclaimer as restaurants); the hospitality industry (ditto); higher education; the social sector (i.e., nonprofits, churches, etc.). The point is, avoid trouble in the first place by being selective about where you work. Plant yourself—i.e., your giftedness—in an environment that at least favors it, not someplace that will drive it into extinction. 2. Accept that if it’s paid work, you’re going to have to come across with results. I know that may come as hard news to you, but one way to soften the blow is to pay careful attention to how you set expectations. Discuss with your patron (i.e., boss, employer, customer) from the get-go what sort of expectations they have for what you’re supposed to do, and how long it’s supposed to take, and what it’s supposed to cost. Then do one of two things: either scale down the scope of your vision to accommodate those parameters, or else explain to your patron what it will really take to achieve what they’re asking for. 3. As you are pursuing your vision, over-communicate with the goal-oriented people around you. You have to understand the nature of your giftedness. It is highly conceptual. Where do concepts reside? In the mind, of course. Which means you probably spend 65 percent or more of your time in your head. Can anyone else see what’s going on up there? Of course not! So the burden is on you to let others know that you have not “checked out,” that you are not intentionally trying to “ignore” them, that you are seeing something in your mind that is terribly interesting and appealing and must be brought into reality, and that you need them to hang in there with you while you are wrestling that conceptual beast into some form of expression. If you help others understand the nature of what you’re trying to accomplish, you’re more likely to get them on your team—and off your back. 3.1 If you’re the leader of an organization, come to grips with the fact that you probably won’t go very far without goal-oriented people to back you up. At the end of the day, organizations execute. They perform, they produce, they ship. In short, they get results. If they don’t, they don’t last. Unfortunately, your motivation is not about getting results. Yes, you assent to them conceptually. But achieving them proves to be another matter. So what to do? Well, you’re never going to “turn yourself into” a goal-oriented person. Therefore, the wiser approach is to position some goal-oriented people on your team where they can actually get stuff done. Because their bias is for action, for execution, for results. You must have those strengths on your team. But be forewarned: Sometimes those goal-oriented people will lean on you to pick up the pace, to come down out of the clouds, to stay focused on matters at hand, or sometimes perhaps even to face reality. You won’t like that! But trust that they are actually trying to do you good. They want to see the vision accomplished just as much as you do. But they’re looking at it from a totally different perspective than you. What matters to them is not the brilliance of what’s in your mind, but the strategy and effort actually being expended to bring the vision about. Welcome that, don’t fight it! Yes, it’s true that without a vision, the people perish. But it’s also true that without some decent planning and action, the vision perishes. 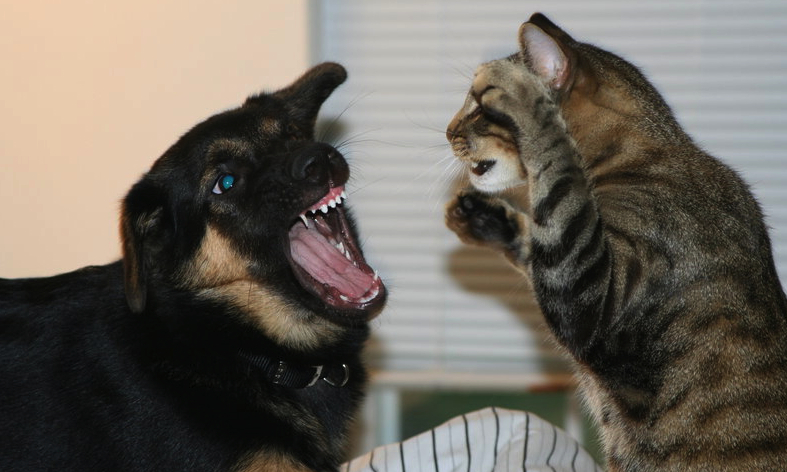 Having said all of this, the fact remains: dogs and cats usually don’t get along very well. But if they will harness their instincts, the two species can at least learn to tolerate each other. Question: In the fable about Micky’s Great Pies, with which of the two principals do you most identify—Alex or Micky? Can you see how your style might cause some unintended problems for others around you? Bill, This is really good. 'Can't wait for 'The Ten Signs Your Job Doesn't Fit You' post.